When the community of Tandale mapped itself in OpenStreetMap, they opened their community’s data to the creativity of the entire web. 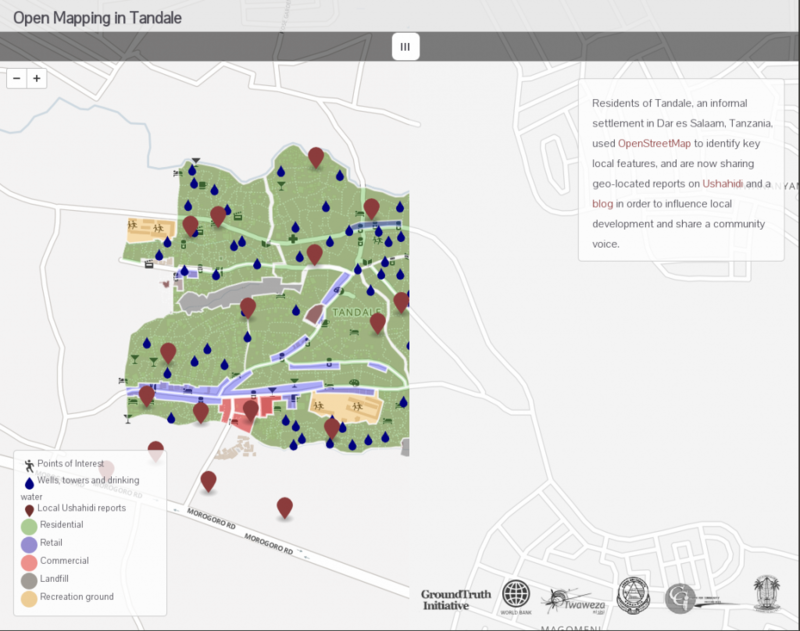 This visualization from our friends at Development Seed shows the dramatic before and after mapping in Tandale, with bright cartography and integrated Ushahidi reports. Hope this sparks more ideas for Tandale and other communities around the globe just now adding their voice to the web. Maya posted the details on how they put the map together. Check it out at explore.ramanitanzania.org.